Recently I have been loving cream products, I much prefer the way they look and feel on my skin compared to dehydrating powders. When I saw that Essence, my new favourite affordable brand, offered several cream to powder formula highlights, I had to give them a try. I chose to buy only one, just to see how the cream formula suited my skin type, after using it for many a moon, I am now more than excited to expand my collection and share my thoughts. The packaging, much like all Essence products is clear plastic, not minimally chic, just plain olde minimal, however the price is right so you cannot grumble too much. It holds 4 gram of highlighter, I am not sure if this is more, less or industry standard, all I know is I have been using this on and off for several weeks and only just started to make a dint in the product. 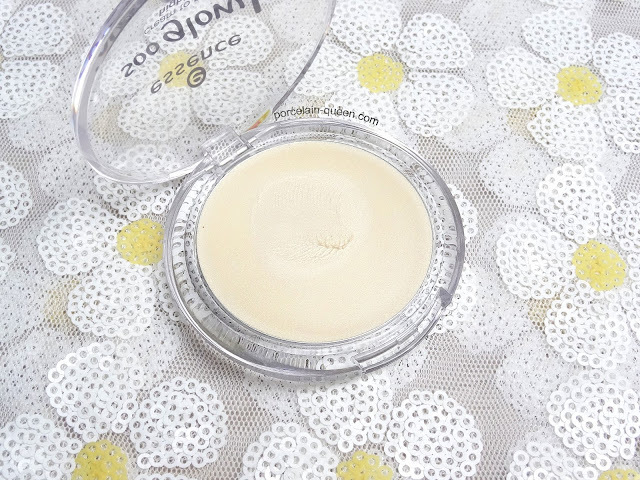 The formula is purely divine, it soft and creamy, the formula melts like butter under your fingers and blends into your skin to leave an untraceable glow. The formula, like most cream to powder formulations does not set like a powder product would, it definitely dries, but it isn't moisture sapping. To make this product last all day, I lightly dust the areas applied with a small layer of a complementing illuminating powder. I chose to start my collection with the beautiful pearlescent shade, 'Look on the Bright Side'. This does at first glance look very harsh and intimidating, however once applied to the skin it looks so beautiful. 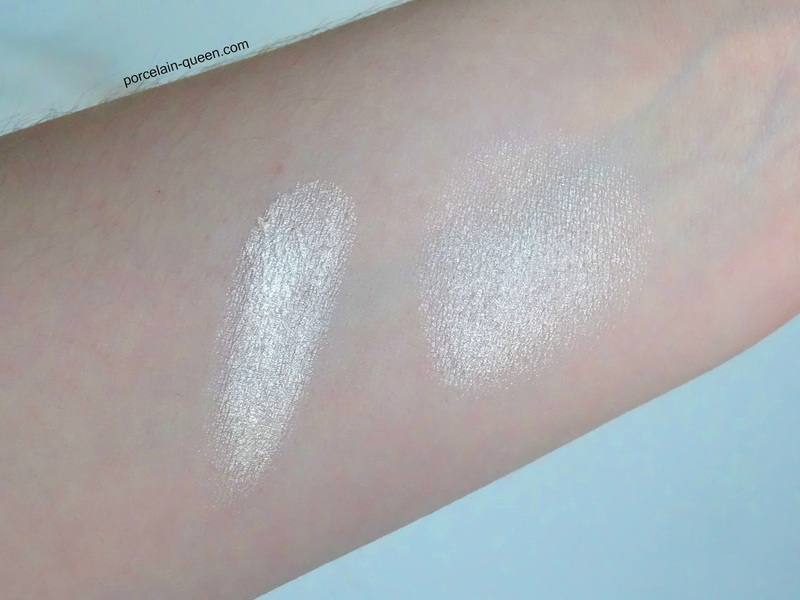 This shade looks similar to MAC 'Lightscapade' Mineralise Skin Finish once blended onto the skin. The texture is very light, and doesn't look cakey, or enhance any flaws what so ever. Some cream products can give me texture, by this I mean small under the skin imperfections not a full on breakout, but with this product I haven't had that. My prefered method of application is with my fingers, I like to melt the product onto my skin with the warmth of my fingers, then precisely blend in with a small stippling brush. There are two shades in this range 'Look on the Bright Side', which I have and 'Bright up your Life' which is a warmer shade with a hint of pastel pink. They cost a mere £2.80, and are available at Wilkinson's here - which is where I purchased mine. What are your thoughts on the Essence cream to powder highlights? It seems like months ago, three to be precise, that I placed an order with Beauty Joint, and quadrupled my Soft Matte Lip Cream collection. I have made my love of the Soft Matte Lip Cream's no secret, there probably one of, if not my favourite lip products of life. Unfortunately for us in the UK, these gorgeous products are widely unavailable, but fear not beauty lovers, the entire range is available for a fraction cheaper on Beauty Joint. The formula of these lip creams are heavenly, there soft, moisturising, moose like and hella pigmented. 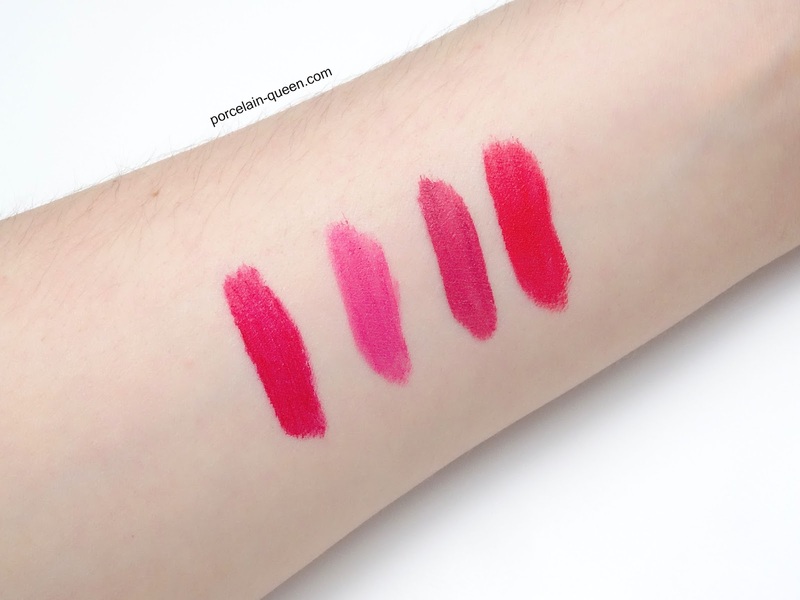 Unlike other liquid lipsticks these are not entirely budge proof, and do require touch ups every now and again. However as they are not a drying formula, touch ups are easy and undetectable. I have tried patting a lipstick sealing product over the lip creams and I have found this does slightly boost the wear time. The packaging is fun and playful, and makes identifying your colour choice in a rush extremely easy. The doe foot applicator can make application slightly messy, but that is nothing a complementing lip pencil cannot solve. 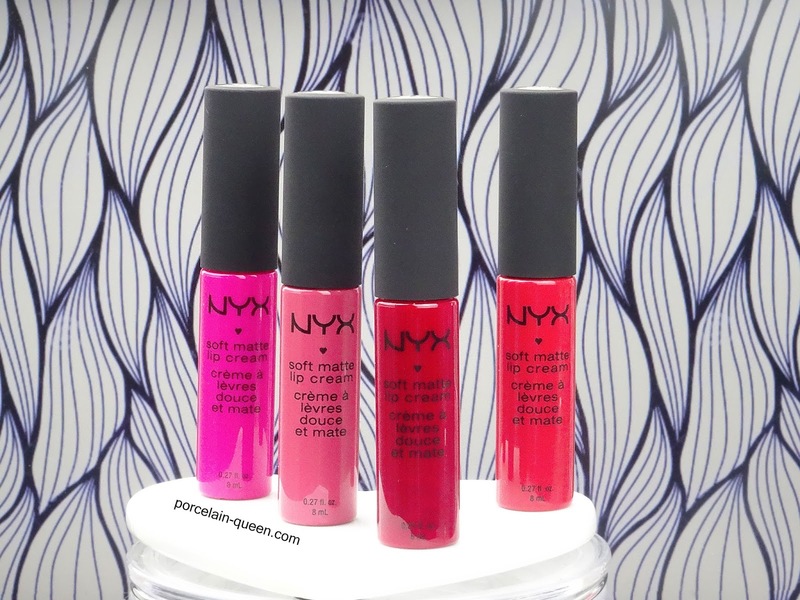 I will always have a soft spot for these products as they were the first mate liquid lipstick I ever bought. They are the most moisturising and comfortable of my collection to wear, however the wear time is one of the weakest. If you don't mind touching your lips up on the go, then I would highly recommend the Soft Matte Lip Creams, however if you like to apply once and forget about it, there are better alternatives for you. What are your thoughts on the Soft Matte Lip Creams? I have heard fellow beauty bloggers rave about these cream eye shadows a thousand and one times, and I still do not own a single one, or quite shamefully never swatched one. I had absolutely no idea that these existed, I would love to try one to see what there like, in my head I vision them as a pigmented creamy heavenly formula. I wouldn't entertain the idea of trying these out full price, but with near enough 40% off I would definitely give them a whirl. In my last wishlist (here) I said I was mesmerized by the Kat Von D Tattoo Liner in a gorgeous periwinkle colour, and it's happened again, but only this time with a kohl eyeliner. 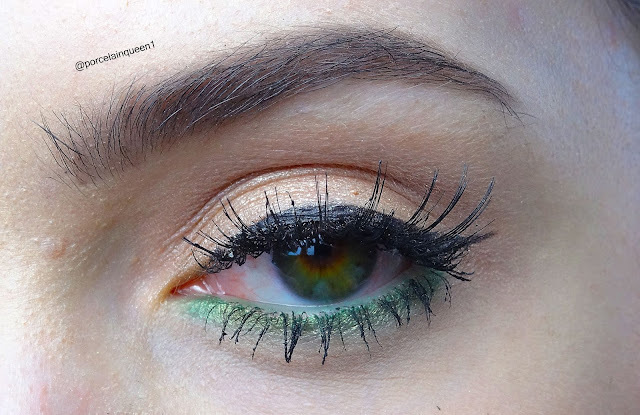 I would get so much use out of this product, I love a good under eye pop of colour. This technically, isn't in the sale, and by technically I mean not at all, but I really want to try a brow gel, and this light formula seems perfect for my needs. 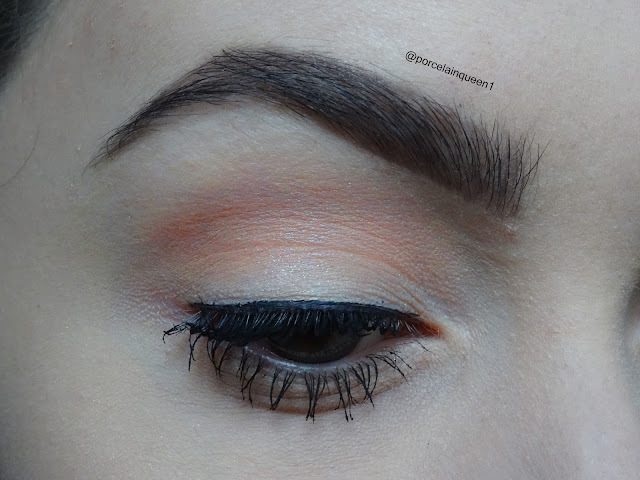 It gives a subtle hint of colour and holds the brows in place all day. But at £28 I would love to read some reviews before I commit. I already have, and love, 'Soho Glow', which is more of a bronze illuminator, 'Notting Hill' is a pale pink shade which looks similar to Benefit 'High Beam' - but at a fraction of the price. This is a first for me on Porcelain Queen, for once I'm not wearing lashes, popping any bright colours or winging out my eye liner. 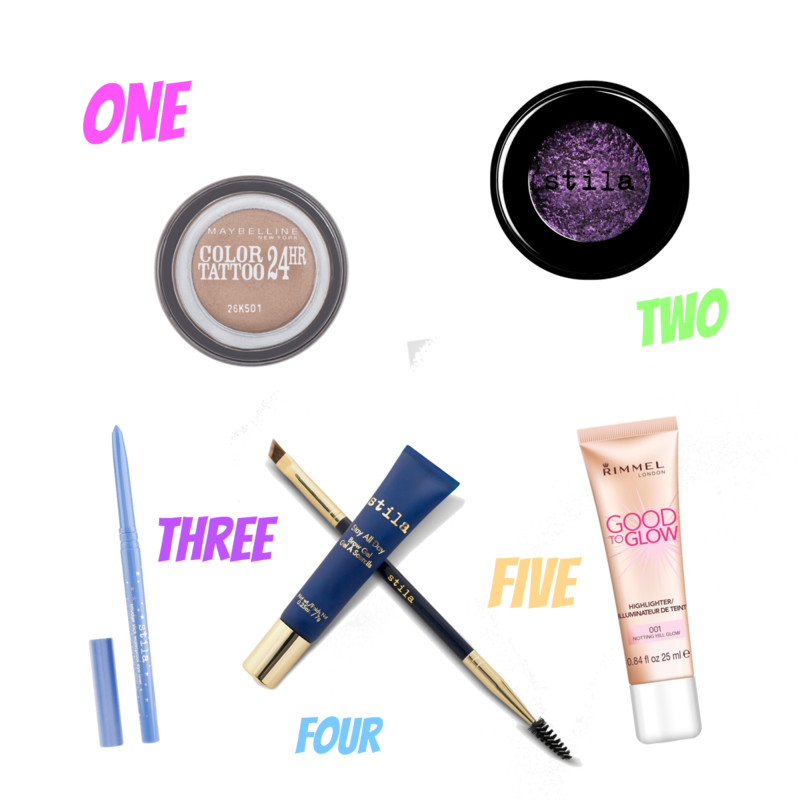 This is the makeup I wear for work and it's as simple as two eyeshadows, eyeliner and mascara. The latest trend in foundations recently seems to be the 'serum' foundation. Described by Bobbi Brown as foundation and skin care, they're nourishing and generally better for the health of your skin, then a standard foundation. 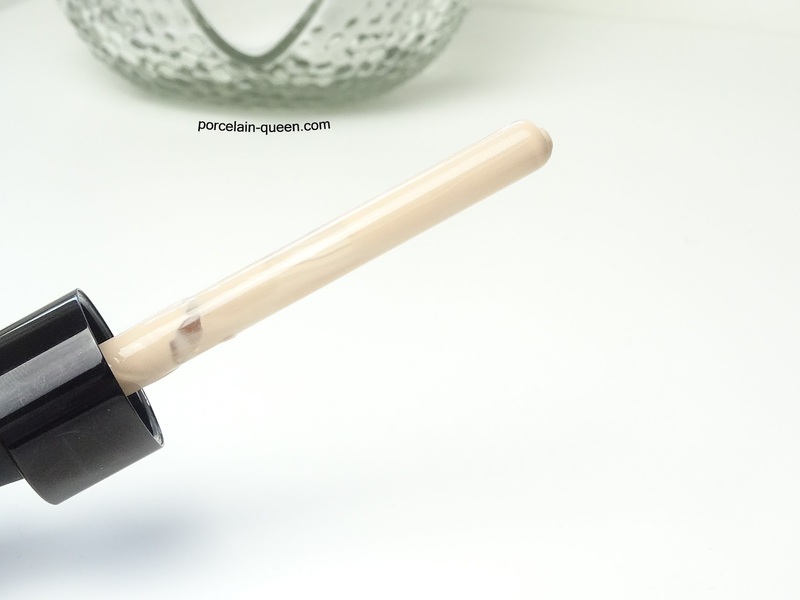 I originally called at Bobbi Brown to repurchase my Skin Stick foundation (review here) which I adore, but when I had a play with this, I had to try it for myself. The packaging is sleek, chic and minimalist, everything I love and expect of Bobbi Brown. A coated glass bottle with the product details scribed in white lettering, simple and sophisticated. The pipette applicator is a new one to me, one squeeze of the lid loads the pipette with enough product for one full face application. I have read a lot of reviews, on the Bobbi Brown website, slamming the applicator but I personally love it. It gives you the right amount of product and it's extremely hygienic as you can drop the product straight onto your hand or brush without making contact with the pipette. The coverage is light to medium, but extremely buildable, I use one and a half pipette applications to get a coverage I am happy with. The formula is so light and thin it blends into your skin within seconds and leaves your with a natural dewy finish. I typically do not like a dewy finish on my combination skin, but with this foundation I love the way skin looks when it catches the light. The wear time is not as long as my other heavier foundations, but this is to be expected with a dewier finish, but so far I've worn this for a maximum of 8 hours, and it still looks damn good when I come to wash my face. The actual foundation formula itself is jam packed with skin loving ingredients such as lychee and bamboo grass extract, which give your skin a youthful and airbrushed appearance. The unique oil free formula means even those with oiler, or combination skin types, like myself, can achieve an oil free dewy finish. 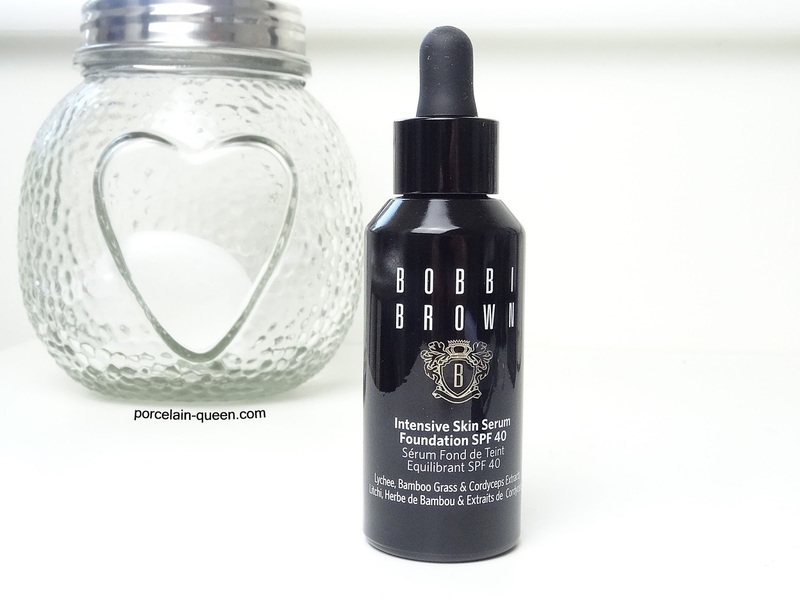 The price as you would expect from Bobbi Brown is on the higher side, at £39 this is one of the most expensive foundations I own, but so far it's worth every penny. What are your thoughts on serum foundations? 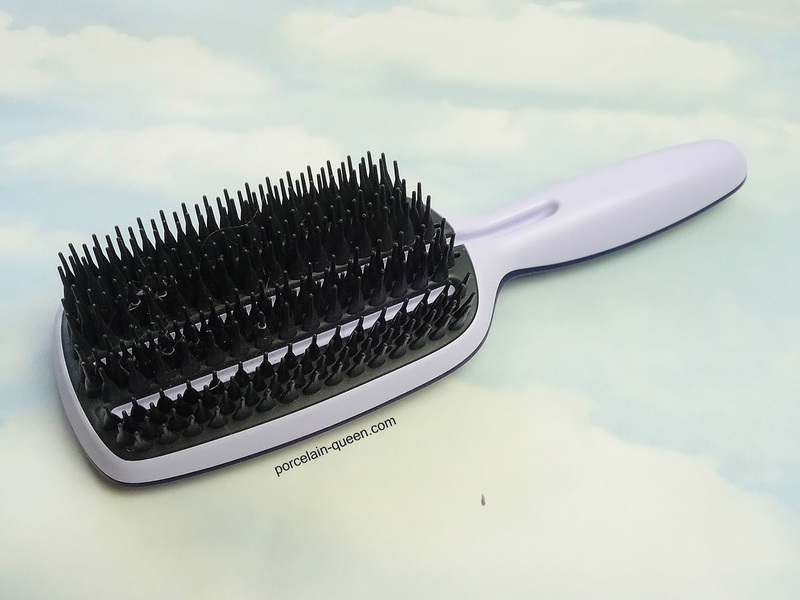 Having long, thick and curly hair, I have grown up using detangling combs, it wasnt until a couple of years back I discovered Tangle Teezer brushes. I loved my Tangle Teezer but the one design flaw that was seemingly overlooked was wet, thick, curly hair is a nightmare to brush, as soon as the brush hit a knot it would fly out of my hand, completely and utterly useless. Several months ago my my partner pointed out the latest Tangle Teezer paddle brush in the Boots magazine, and I went out and bought it the very next day - using my Boots points. The bristles are like none I have ever seen before, completely rubberised and space shuttle shaped, overlapping in long rows of three they make light work of your knotted hair, and the 'guttering' style gaps between the rows help drain excess water. 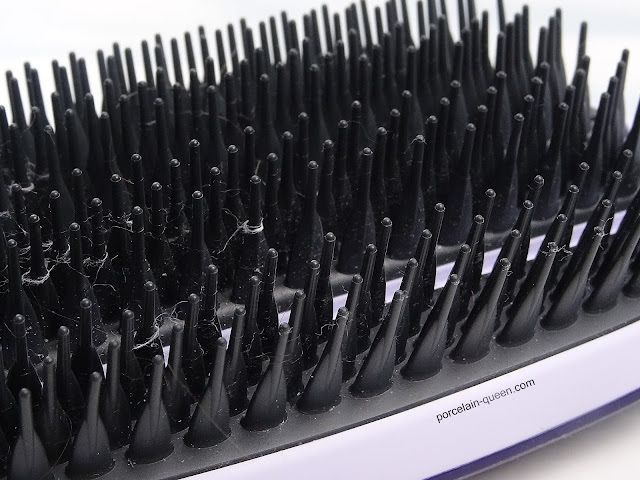 The rubberised bristles mean no more nasty hair pulling, and once they get heated by the hair drier they become warmer and start to extract the water from your hair. I find when using this brush I dont have to stop to unpick a knot that a regular brush cannot untangle during blow drying, this brush glides through and untangles as I dry. The large design means I can dry huge chunks of my hair, which significantly reduces the amount of heat my hair is exposed to. I also helps to dry it and keep it smoother and straighter, which is something a typical brush or comb has done for my hair in the past. It wasn't until I misplaced this brush, and was forced to go back to a regular Tangle Teezer for a couple of weeks, that I actually noticed the difference in the amount of time I spent drying my hair. It really is one of those products that you do not realise how good it is until it's gone. This is a must have for anyone with thicker hair, or curlier hair. I bought the 'Full Paddle' style for longer hair, which costs £18 at Boots. There is also a 'Half Paddle' available for shorter hair for £17. Have you tried the latest Tangle Teezer Paddle Brush? This is one of my 'Go-To' looks for days where I want to look as though I spent time perfecting my make up, when in actual fact I haven't - it's also a great Summer look too.